Best streaming services and devices | What Hi-Fi? Best Buys Streaming is a brilliantly convenient way of filling your home with high-quality digital music. Best Buys Portable or mains-powered, happily affordable to really rather expensive, these are the best wireless speakers on the market. Best Buys Streaming is more popular than downloading for the majority these days – so which is the best music streaming service? 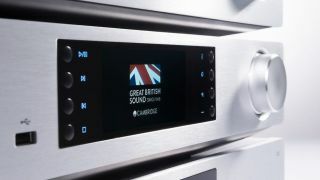 Best Buys The convenience of a multi-room system has always been obvious - and now the best are capable of great sound too. Best Buys Thanks to the arrival of 4K and HDR, there's never been a better time to stream movies and TV shows - but which are the best video streaming services?